Recently Tricerat got the chance to work with one of our key partners, Xentegra, on a webinar. Learn from industry leaders as they discuss major issues and solutions in printing, featuring the voices of XenTegra's Chief Marketing and Technology Officer, Pete Downing, as well as Tricerat's own VP of Sales, Tim Harder, and Chief Technology Officer, Andrew Parlette. As a larger player in the industry, Xentegra brings the right digital transformation products together in order to enable a user-centric workspace. At their core, they sell, design, and integrate solutions that get technology out of the way of productivity. XenTegra delivers expert hosting and managed services for your Citrix desktop solutions, reducing the cost and complexity of workspace delivery. They will design a project based on your needs, and offer world class technical support. XenTegra makes it a point to stay up to date with trends and experts in the industry, and as a value-add reseller, they are in a unique position to access many industry experts. They have recently launched "Webinar Wednesdays," where you can learn about compelling technology and products, demo the products without too much "marketing fluff," and ask questions. Stay in the loop and listen to industry leaders discuss the news and products you are interested in. Of the attendees of the webinar, most people reported having issues printing within their environments, with the largest number of people experiencing issues in shared computing like Citrix Virtual Apps and Microsoft RDS. This is where Tricerat can help. Is printing an issue across your environment? Where is the biggest issue in your environment? Are you using Microsoft Office 365? Our main goal at Tricerat is to reduce time and hassle spent on managing your print environment. We are located in Baltimore, and after 21 years in business, we have made it our mission to provide the most effective solution, and highest quality of service for our customers. As we have developed and expanded our portfolio of products, we are able to partner with industry leaders like XenTegra to educate IT admins and end users about our technology. Studies show that 1 in 4 help desk tickets are print-related. A total of 1-3% of revenue is spent on printing, only 5% of which actually comes from printer hardware. Most of the costs are incurred from operating costs, like consumables, management, and infrastructure, and from indirect costs, like help desk, support, and end user productivity. 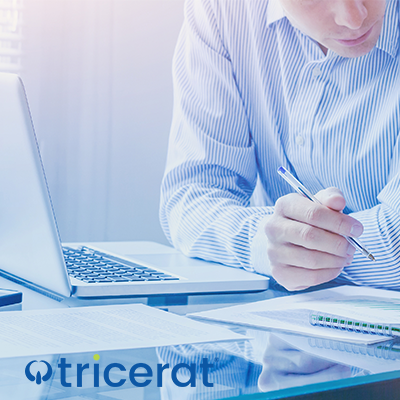 Tricerat takes the hassle and time out of managing printing, giving back time and productivity to both admins and end users, and providing ROI to your organization. We work with all kinds of industries, and we can make a huge difference. Whether it's healthcare, education, finance, legal, MSP, manufacturing, or other, we have proven our dedication and skill to make printing simple for any environment. Our teams are all co-located, and NPS score is 70, proving just how much we can do for our customers. At Tricerat, we stand behind our products, and we pride ourselves on continuing to update our existing products, and build features we know our customers want. 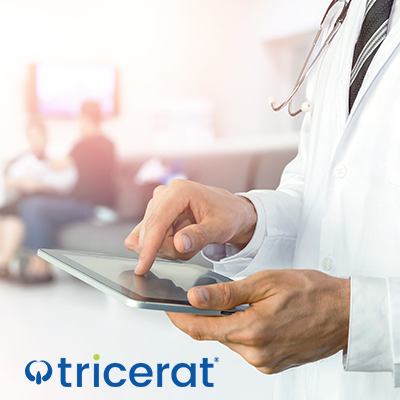 Tricerat offers active maintenance, which includes free upgrades for our solutions, and free support. Try any of our solutions, free for 30 days, and see the difference we can make for your organization.